Topic:Leadership process in management; A comparative study between Islamic and conventional perspective.  2nd International Conference on Management from an Islamic Perspective (ICMIP-2 2014) arranged by the International Islamic University Malaysia. 19 August 2014.  2nd International Conference on Management from an Islamic Perspective (ICMIP-2 2014) arranged by the International Islamic University Malaysia. 20 August 2014.  The 11th Asian Academy of management international conference 2015 Organized By Asian Academy of Management (AAM) and University of sains Malaysia 2nd -4th October,Parkroyal hotel ,Penang ,Malaysia .Paper present on Ethical Leadership:Its Issues and Impacts in Organization.  National Researchers Conference -2015 Organized by Center For Research and Development. Participating Conference 12 December 2015.  Completed a course on ‘Conversational English’ from “Dialogue English Language Instruction Program of SIM, Bangladesh” in 2008. 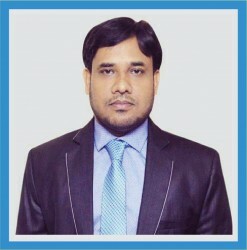  Completed 6th month long course on “Basic Computer Operation” from “Technical Training Centre, Rajshahi” in 2007.  “Advanced Course on Research Methodology” Conducted by Institute of education and Research, University of Dhaka .  ‘’Certificate Course In Yoga’’ Organized by Department of Natural Health Science and Education studied from April, 2015 to May 10, 2015.